You are here: Home › News › News and Articles › Online Articles › Physical Education › Press & Media › Recreation › Sport › Uncategorized › UNESCO Chair launched 1 year ago today! 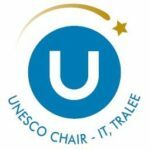 UNESCO Chair launched 1 year ago today! Happy Anniversary! The UNESCO Chair launched 1 year ago today in the presence of the President of Ireland Michael D. Higgins. A short video capturing the launch of the UNESCO Chair IT Tralee on 23rd February 2015. Click here to watch a short video of the launch!